I love my new green grocer! I used to buy my fruit and veg from the local supermarket, but I have found a green grocer that is so much cheaper! The produce is really fresh, great quality and did I mention so much cheaper! :) It's wonderful to be able to stock up at half the price. Anyway, even though it's winter, this green grocer has wonderful, fresh zucchini. It's moist, spicy and smells heavenly. Chop walnuts and dates in food processor until in small chunks. Put walnuts and dates into mixing bowl. Add flours, spice and soda and mix well, breaking up any lumps. Add coconut oil and honey and mix well. Puree banana and eggs in food processor. Add to mixing bowl and stir to combine. Add grated zucchini and stir in. Line a small bread pan with baking paper and scoop mixture in. Bake in oven for about 40 mins until brown and feels done on top. Will firm up on cooling. I love your blog and recipes!! I can't have bananas, would applesauce work in place of the banana? I tried both applesauce and banana. Applesauce leaves a little thinner consistancy for some reason. I made my own pure applesauce but not as good as banana. Try an extra 1 or 2 eggs in place of banana or applesauce. SHOULD WORK GOOD. this looks so yummy. 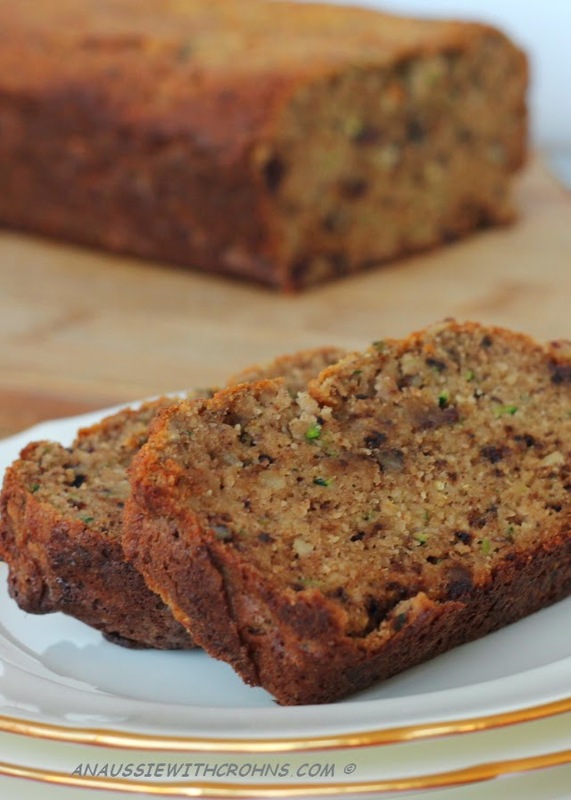 I always loved classic zucchini bread. tastes amazing with jam or butter on top. my mom is a fan of putting cocoa powder in it and a glaze on top. 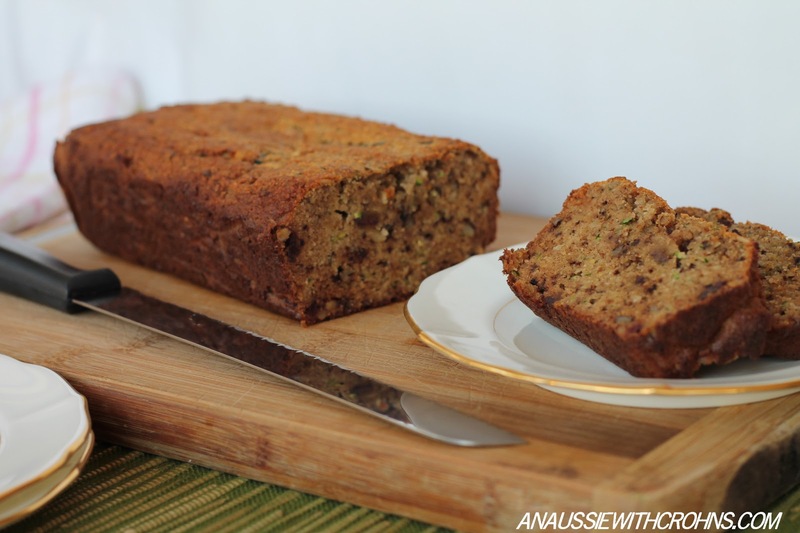 I just tried this Paleo Zucchini bread, it is to die for, so moist and tasty. I loved it. Absolutely delicious, made this last night as my first attempt at baking "paleo style" bread, my kids and husband were very impressed. By spice, do you mean cinnamon or a mixture of spices? In Australia, mixed spice is a combination of cinnamon, nutmeg and all spice. Are the dates & nuts necessary? I dont have either on hand but need to use my zucchini & ripe bananas. I think I'll give it a try! Hi again...I posted above on Sep 7/14. I am now making this recipe every week! I make muffins instead of bread, and freeze them. I find this recipe freezes beautifully and the frozen muffins make easy-to-pack snacks for school and work. I have substituted carrots for the zucchini, and even used a mixture of both and they turned out great! I've also replaced the zucchini with blueberries and raspberries (separately, not combined). For the raspberry batch, I tried making a raspberry syrup as a replacement for the honey, just by boiling down some raspberries. They tasted good, but resulted in a more fragile muffin. Thanks for this recipe, it's delicious, we use it to make muffins for breakfast. It has helped me with weight loss and managing my sensitive digestive system. Can I use potato and/or sweet potato flours instead of coconut and almond flours? By far the best paleo bread recipe I've tried yet. Even my super-skeptical husband and daughter couldn't resist. Wonderful! Thanks for sharing this!! Can the already liquid coconut oil be used instead of the one that needs to be melted?